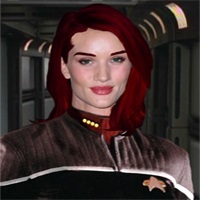 Just wanted to introduce myself to the Fleet; my name's Reese, I'm from the UK and I'll be playing LCMDR Jak Naylor, CO of the USS Hammerhead. I'm very excited to bring a new sim concept to Pegasus Fleet, (I'll post a recruitment ad in the appropriate place when the time comes), and I can't wait to get to know everyone. While I'm not new to simming, I'm certainly rusty, and would greatly appreciate any advice from my fellow simmers. But yeah, just wanted to say hi to everyone, hope you're all doing well!